The largest hackathon competition in the Middle East, organized by the Saudi Federation for Cybersecurity, Programming and Drones, was launched in Jeddah on Tuesday July 31, 2018, under the name of “Hackathon of Hajj” (Hackathon of Pilgrimage), Saudi Press Agency (SPA) reported. The three-day event, with the participation of thousands of developers from both sexes from 51 countries, is part of Saudi Arabia’s continuous efforts every year to serve the pilgrims and take advantage of the young talents of technology, which highlights the participation of programmers in the exploration and development techniques of Hajj seasons. This event is part of the Kingdom’s commitment to stimulating innovation and reaching regional and global leadership in the field of technology; it is in the interest of supporting young people and providing them with diverse opportunities and achieving the objectives of the 2030 Vision. 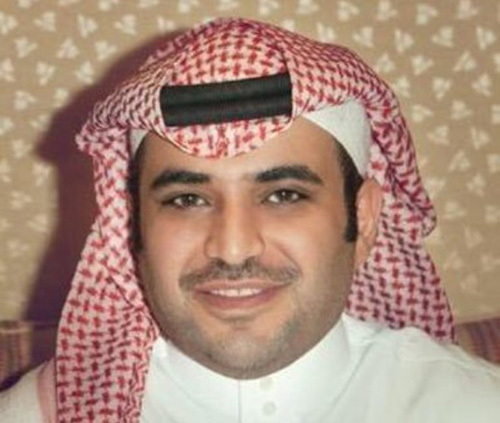 Saud bin Abdullah Al-Qahtani (photo), Advisor at the Royal Court and Chairman of the Board of Directors of the Saudi Federation for Cybersecurity, Programming and Drones, thanked Saudi leaders for presenting unlimited support for young people and their keen interest in supporting innovators and the transfer of knowledge. He said that the Kingdom’s hosting of the largest hackathon in the history of the region through the competition “Hackathon of Hajj” aims to devise technical solutions that contribute to enriching and improving the experience of pilgrims, and that the Kingdom has become one of the main supporting countries in order to be a gateway to technology in the region, as it has a fundamental role in every aspect of the vision of 2030. In her speech at the opening ceremony, Nouf Al Rakan, CEO of Saudi Cyber Security Federation, said that under the leadership of the Custodian of the Two Holy Mosques King Salman bin Abdulaziz and HRH Prince Mohammed bin Salman bin Abdul Aziz, the Kingdom is moving to a new era to serve the greatest pillar of Islam starting from an ambitious vision of the Kingdom 2030. He said that one of the smart things about the effectiveness of this event is its idea is to meet and think about things to improve the experience of millions of pilgrims. The first edition of “Hackathon of Hajj” attracts developers from countries, including the Kingdom, the Gulf States and the world. More than 20,000 people have been registered, 3,000 of whom have been selected to participate. Google has supported the event and has held several workshops for participants. The Saudi Federation for Cybersecurity, Programming and Drones has allocated prizes for this event and funding for participants projects amounting to SR2 million, in order to transform participants' ideas into projects. The prize was divided into three: the first place is SR 1 million, while the second winner receives SR 500,000 and the third is SR 350,000, while SR 150,000 goes for excellence. Competition in the event includes the sectors surrounding the Hajj season, its services and challenges, including food and beverages, public health, financial solutions, transportation, crowd management, traffic control, travel and accommodation arrangements, waste and waste management, housing and communication solutions.